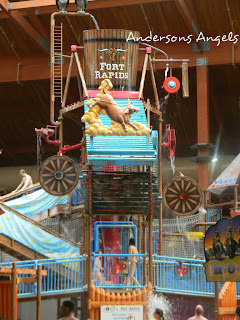 Recently we had the opportunity to take our kids on a mini-vacation to Fort Rapids Indoor Waterpark in Columbus, Ohio. I am not sure who was more excited about the trip Jake and I or the kids. We decided to pick Bubba up early from school and head down to the Resort and start our weekend early. When we first arrived to the Resort I walked right in and check-in was quick. Had we waited though to check-in we would of got stuck in the crowd at check-in. They could of moved the crowd quicker had they had 3 people working check-in instead of just 2. While down there we had a dinner date with Ashley from "and the little ones too blog" and her family. It's was so nice to put a face with a name other than just a picture online. We had the great privilege of reviewing one of the Villa Family Suites at the Resort. We were very pleased with the room it was very spacious and clean. I really liked that it had a small swimming suite dryer in the room. The beds and pillows were very comfortable. I hate when we stay somewhere and the bed isn't comfortable. In the morning we got up and went down to breakfast at the Branding Iron Grille for their breakfast buffet. The food was very good the only thing we didn't like was we had to ask for drinks if we wanted something other then milk or juice that was on the buffet. After breakfast we got ready and headed down to the waterpark to spend some time. The pool area was well staffed with lifeguards. They also had towels for the guest to use in the pool area so you didn't have to take your towels from your room. The rules and water safety were clearly posted for all to see in the waterpark. They had so many different areas in the waterpark that you could easily keep everyone in your family entertained. Sweet Pea, Bubba and Pumpkin all enjoyed the zero depth area. They had so many different activities for the kids to do throughout the zero depth area and the tree house area. After spending some time at the waterpark Sweet Pea needed a nap but the boys were way to excited to rest. So while Sweet Pea and daddy took a nap the boys and I went back down to the main resort area. The boys were excited to see that C.O.S.I. had brought in some stuff for the kids to play with. Bubba and Pumpkin spent a good hour to an hour and half playing at the different stations. We really liked that the Resort had lots of activities planned for the families to do while there. 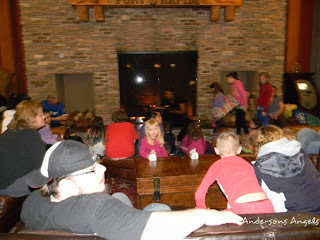 One activity that we took advantage of was the Story night by the fireplace with milk and cookies. Every Friday and Saturday night they read the kids stories by the fireplace while the kids munch on yummy fresh baked cookies and enjoy milk. After enjoying a nice snack and story we made our way to the arcade for the rest of the evening. 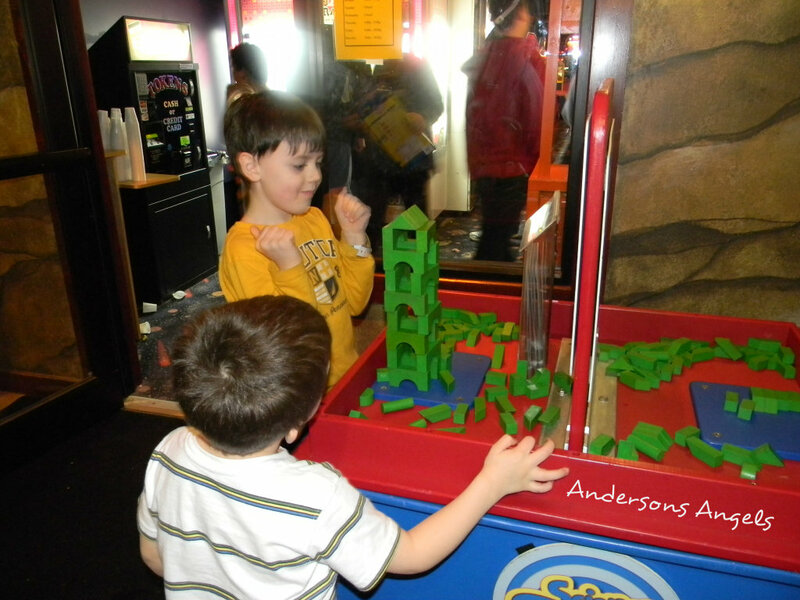 The boys were very excited about the arcade. There was plenty of games to choose from and they covered most age ranges so there was something for everyone. The games were easy for the kids and the gave a decent amount of tickets as well. The staff was very friendly and helpful throughout the whole resort. 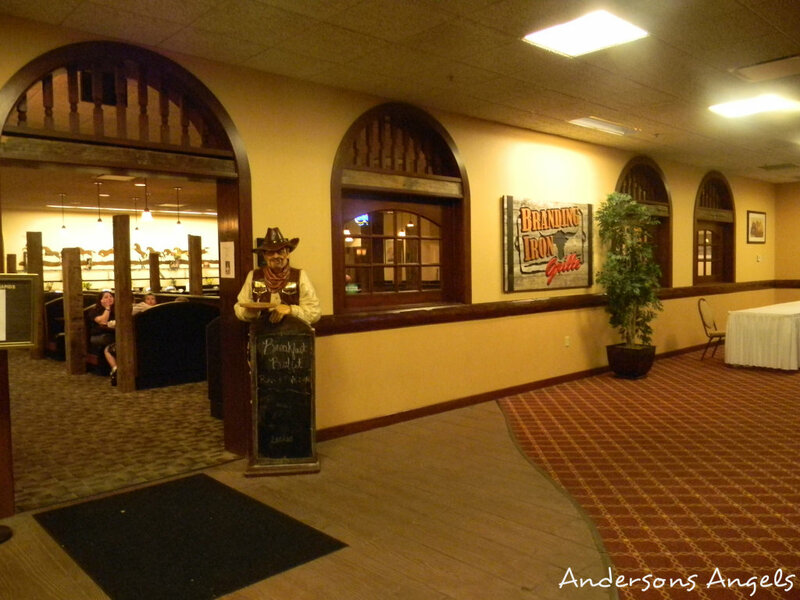 We have stayed at most the indoor waterparks in Ohio and this one is our favorite! How would you like to go and stay for a night and check it out? 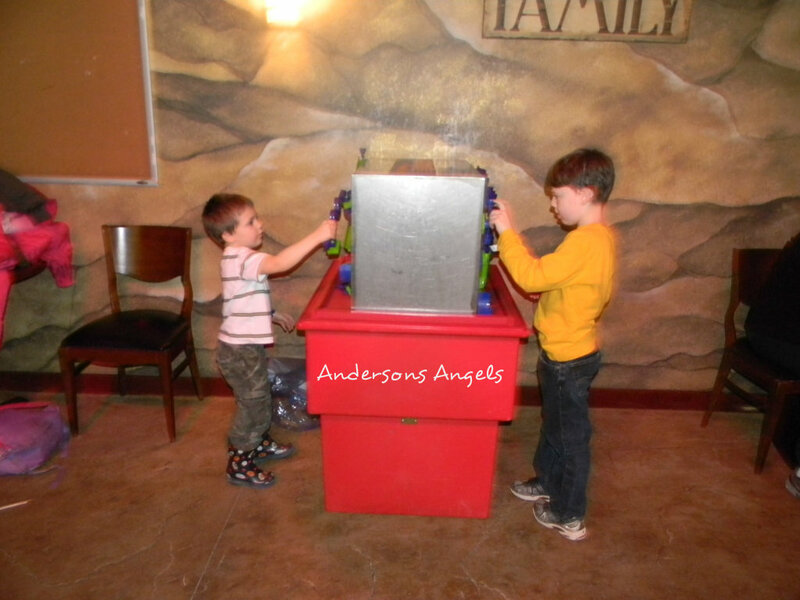 Well then do I have a awesome deal for you Fort Rapids has been gracious enough to offer 1 Lucky Andersons Angels family a 1 night stay in the Oak Canyon Villa and waterpark passes. 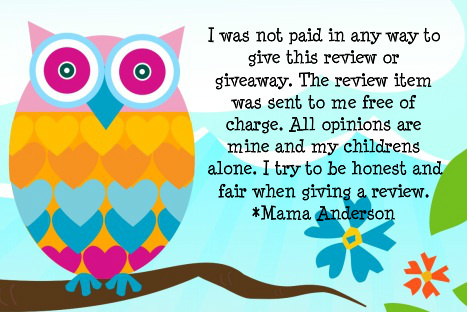 This giveaway is for a Family of 6. ~Thank You to all who entered!! This looks like a really fun place for kids! We could use a small family vacation. Sounds like a great time and very relaxing. I'd like some of that too. We could really use a weekend away! This would be nice! 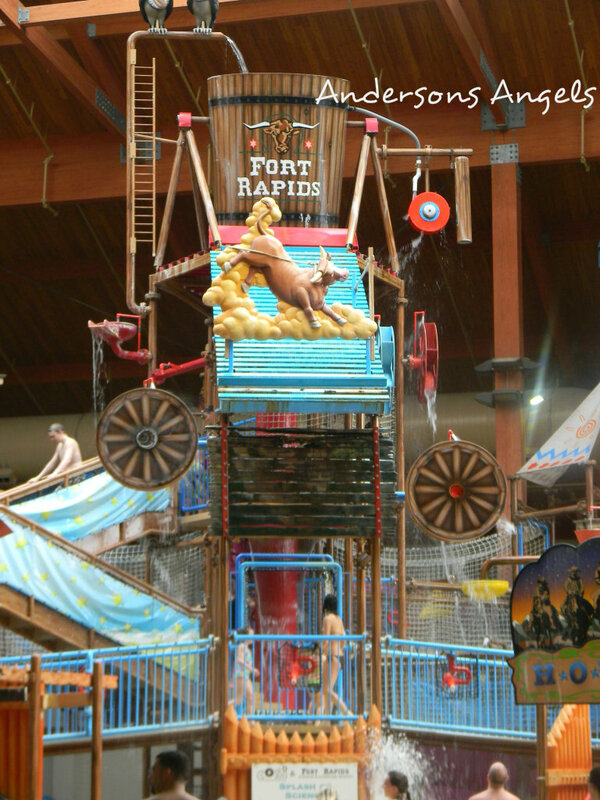 I would love to take my boys on a vacation to Fort Rapids. This would make a great stay-cation in Columbus. My family would love it. I would love to win because I have never gotten the chance to take my family on vacation. I'd LOVE to win this because indoor water park means NO SUNBURNS! I'd love to win this because I think hubby and I would enjoy it just as much as the kids. We can't really afford a vacation this year and the kids would love this! I would like to win because we are on a limited budget this year and would love to go there. I would love to take my son on a vacation ... And Its not too far to drive to - I know he'll love this place! I'd love to take an over night trip with the girls before the baby arrives! my sons would love this as they love swimming and water parks! My kids would love this and we have family in Ohio we'd love to visit on the way! My grandsons would love this and it would help me be able to give them a nice gift for their birthdays. My girls would have such a fabu time! This would be great for my three kids they love water winter or summer and this would be great to start our vacation this summer. This would make an amazing trip for me to take my new baby girl and niece! Oh my gosh, that place looks AMAZING!! 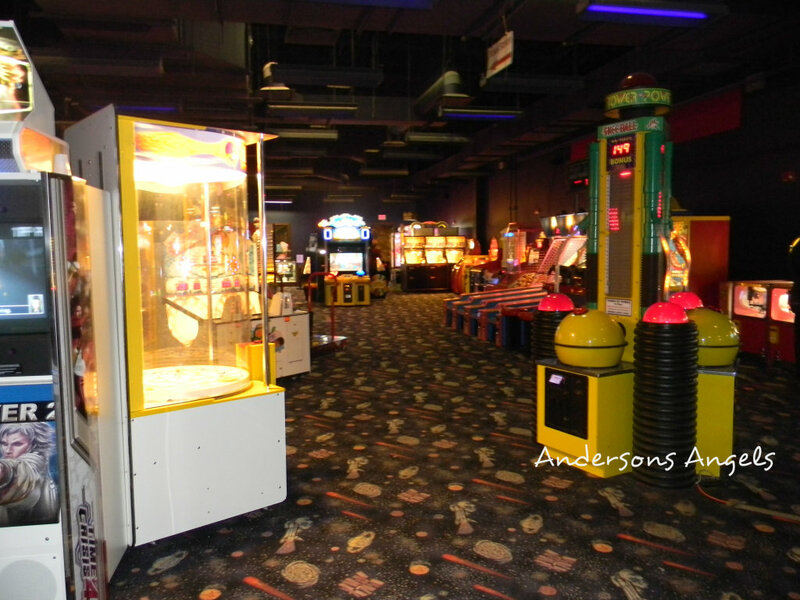 My girls would love the arcade and water park! This place sounds great! I wish we lived closer to places like this. Stories and milk and cookies before bed? I would have put my footy pajamas on and joined the kids down there on the floor myself! !